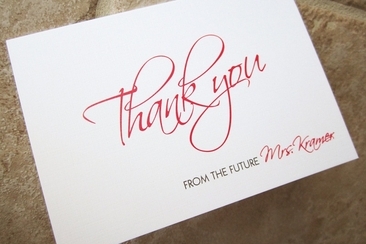 Part of the fun of planning a wedding, either as a bride or as a bridesmaid, is the anticipation of the bridal shower. 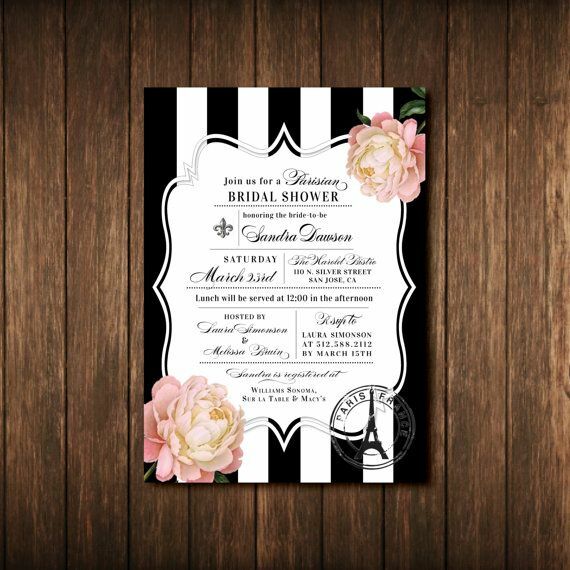 There is a very complex range of themes and styles out there when it comes to celebrating the impending nuptials, but one of the in-demand classics remains, year after year, the bridal shower with Paris theme. 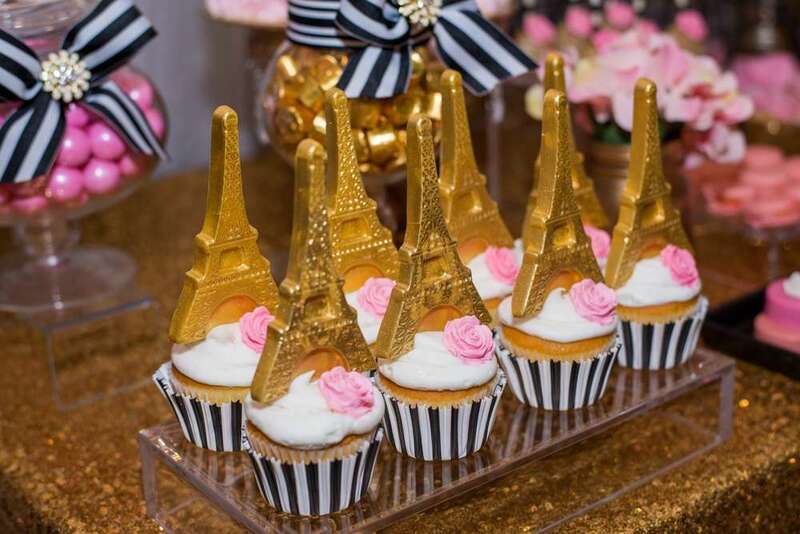 A celebration that offers French vines and flavors, elevated with sophisticated Parisian elements, French macaroons and pretty Eiffel towers – who could say no to that? 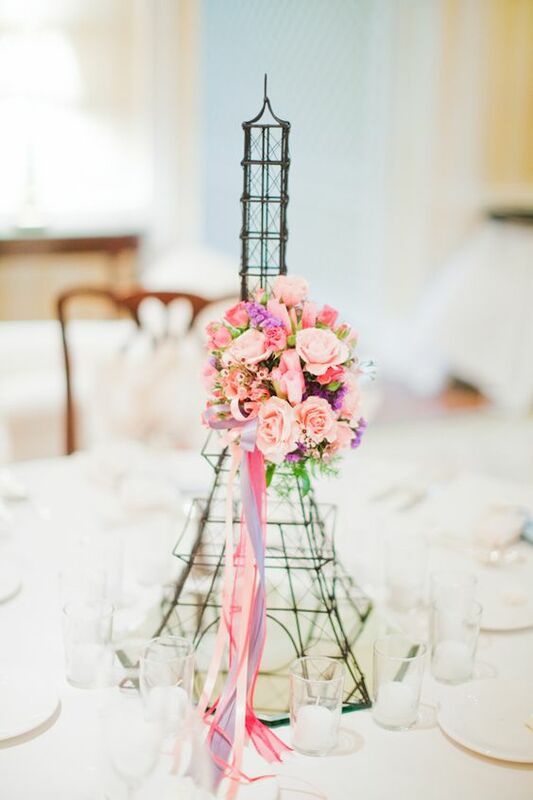 If you’re totally tempted to throw the future bride a Paris themed party, yet overwhelmed with the possibilities, then this article will guide you step by step towards a flawless and super chic event. 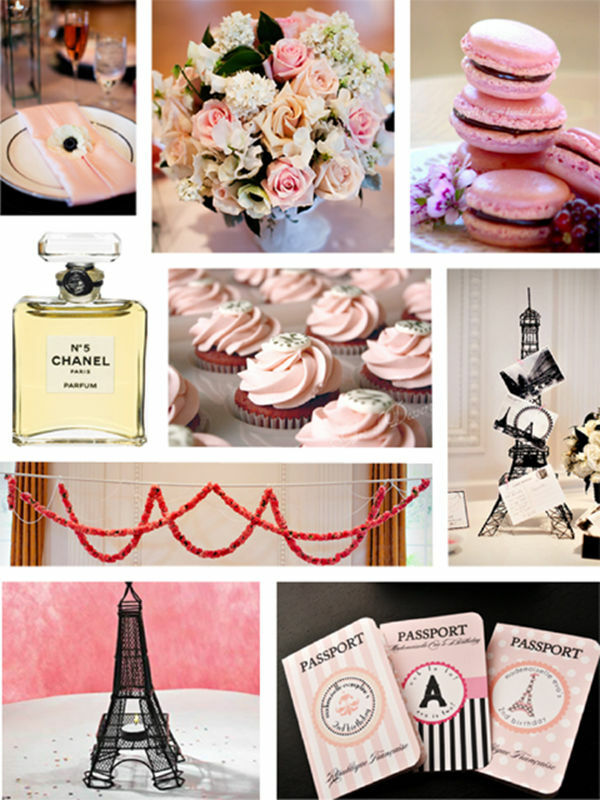 A bridal shower with Paris theme can be anything you’d like: effortless and dreamy, pale and pastel or bright and bold. While all options are viable, one of the most popular combinations remains bright pink, black and white, with the necessary added element of gold or silver and the occasional grey tones. 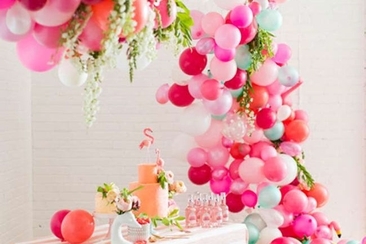 Such a palette is cohesive and easier to achieve than one that combines pastels or lighter tones and you can definitely find a suitable venue, party decorations, as well as flowers in this shades. 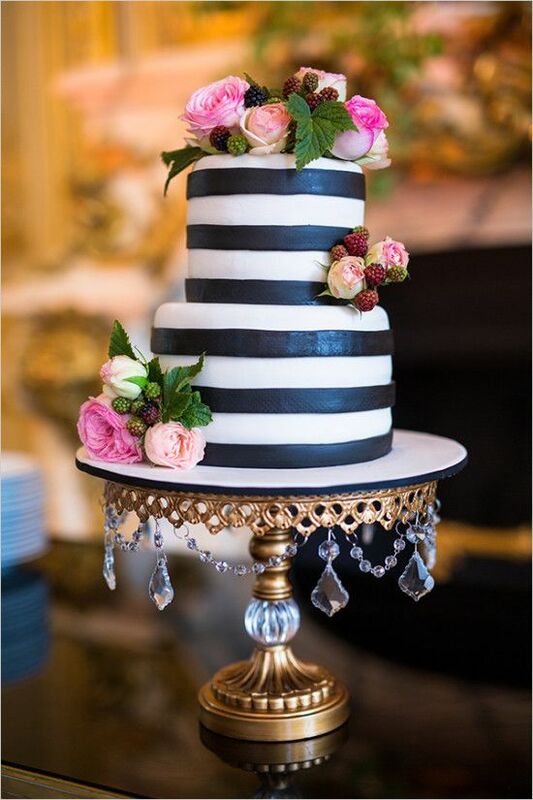 The most important thing when opting for a specific color combination is to stick to it – from the cupcakes on the dessert table to the optional pompoms hanging from the ceiling or any other detail, opt for a flawless match. 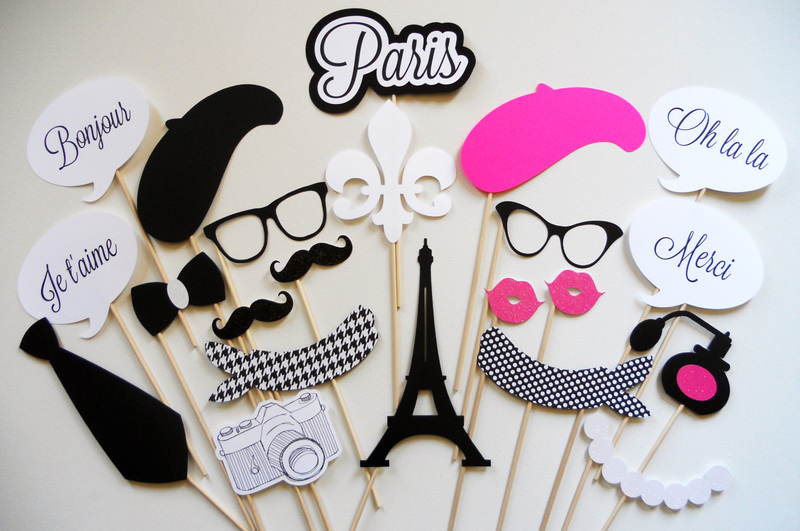 No party is ever complete without photos and what better way to create memories than with a photo-booth and theme props! 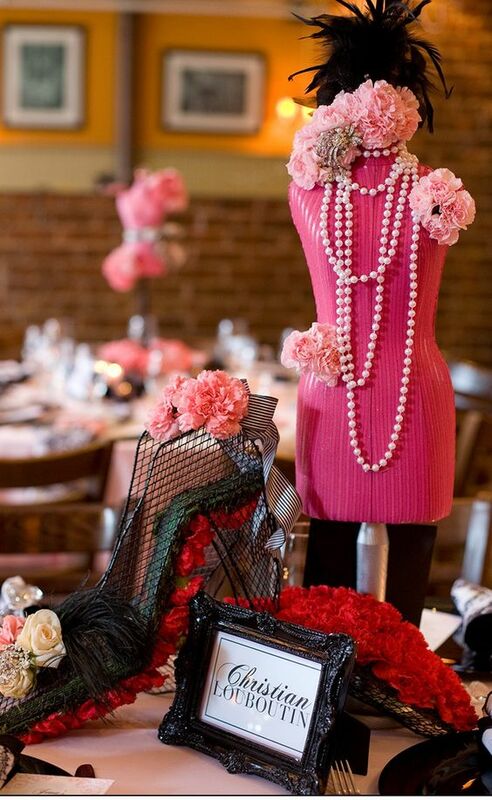 And since you are planning a Paris theme bridal shower, you’ll need a collection of photo props that let you pretend that you’re right in the French capital: “Oh la la!”, chic glasses, perfumes and beret hats make fun accessories perfect to use with friends in front of the cameras. 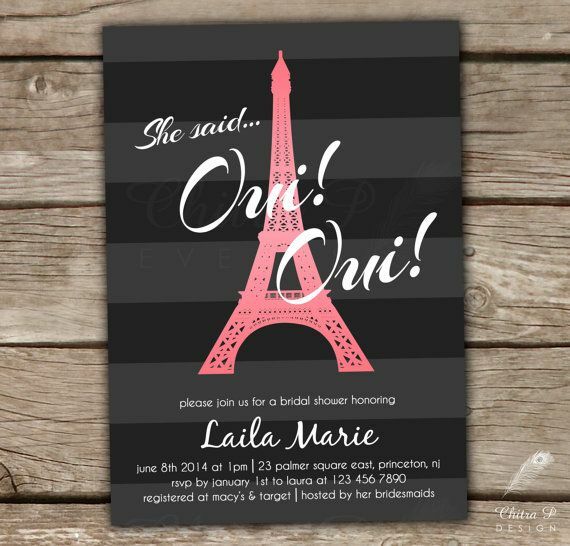 No other symbol fits a bridal shower with Paris theme better than the iconic Eiffel Tower – use this symbol as a centerpiece on each table, as a decorative element on the guestbook table, as a party favor and throughout the design of your stationery: labels, wrappers or banners. 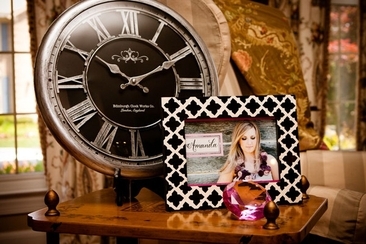 Stay on the lookout for any elements that feature the baroque decorative style: picture frames with curved spirals in black and damask patterns on fabrics, napkins or decorative boxes in the classic black and white. In true French fashion, collect anything featuring carousels, black poodles with stylish hairdos, Chanel perfume bottles, candles, pearls and any other romantic elements that scream ‘Paris’ – start gathering such lovey pieces ahead of your event in order to create that authentic French aesthetic. 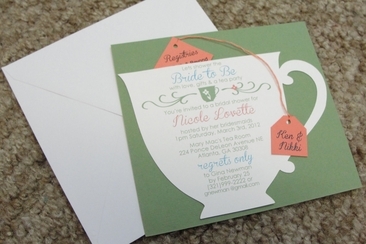 Bridal showers are by definition girly – so go all in on pretty prints and patterns when creating or ordering your invitations and stationery! Combine and mix prints for a modern interpretation of a Parisian theme. 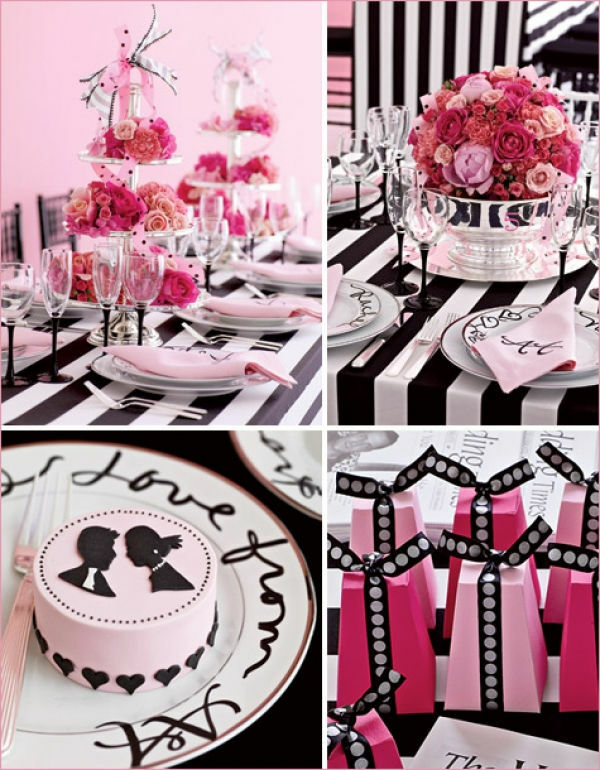 A classic choice is always stripes and damask in contrasting black and white, with the much needed pink as a pop of color. 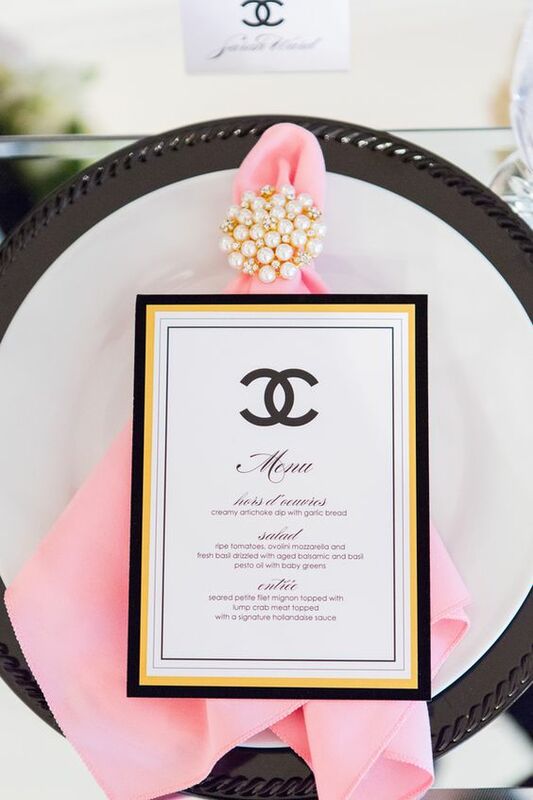 Add elements such as poodles, black silhouettes, Chanel perfume bottles, black baroque chandeliers and the mandatory Eiffel tower to make sure your theme is cohesive. French macaroons are a must when organizing a bridal shower with Paris theme, as well as other delicate pastries that you can customize in your chosen color scheme: pretty little cupcakes with bright pink frosting, and cake pops with smooth and glittery finishes in hot pink or gold are stunning choices, especially if embellished with Parisian toppers. 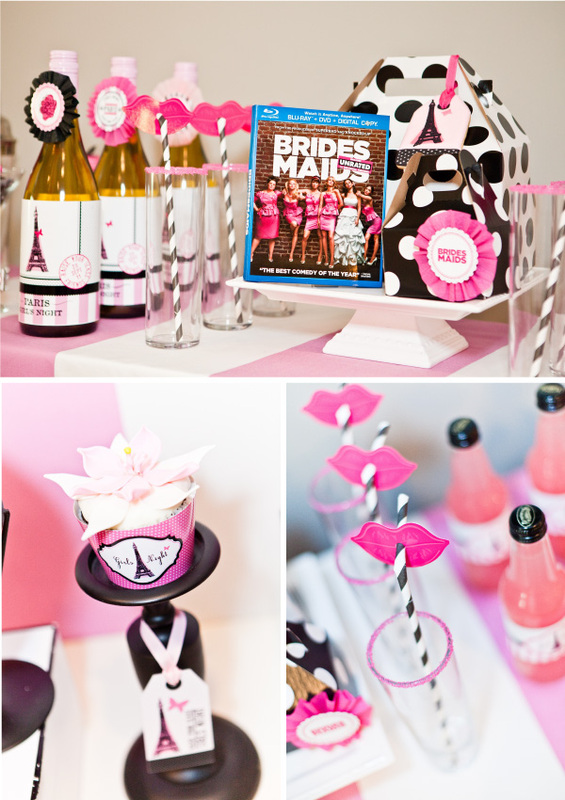 Add jars of different shapes and sizes on your dessert table, filled with black, white and hot pink candy. Forgo the gummy bears and the marshmallows and stick to more sophisticated treats, such as chocolate wrapped almonds and Paris themed sugar cookies. Wrap chocolate bars in custom wrappers designed to perfectly match your theme and place them symmetrically in your candy buffet – for an extra touch, add custom labels and even an invitation to taste the yummy treats, saying: “Bon Appetite!”. 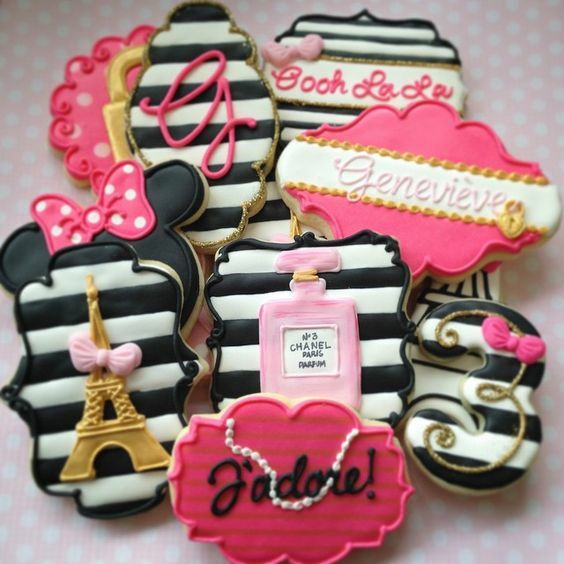 Paris is glamorous, always chic and eternally romantic. 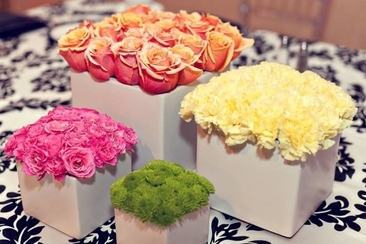 Keeping these in mind, spoil the future bride with lots of pretty pink flowers. Add layers on the tables to create more texture: black and white striped runners, luxurious silky napkins, pink flowers and gold metallics. Gold cutlery works best with this theme, as well as antiqued silverware. 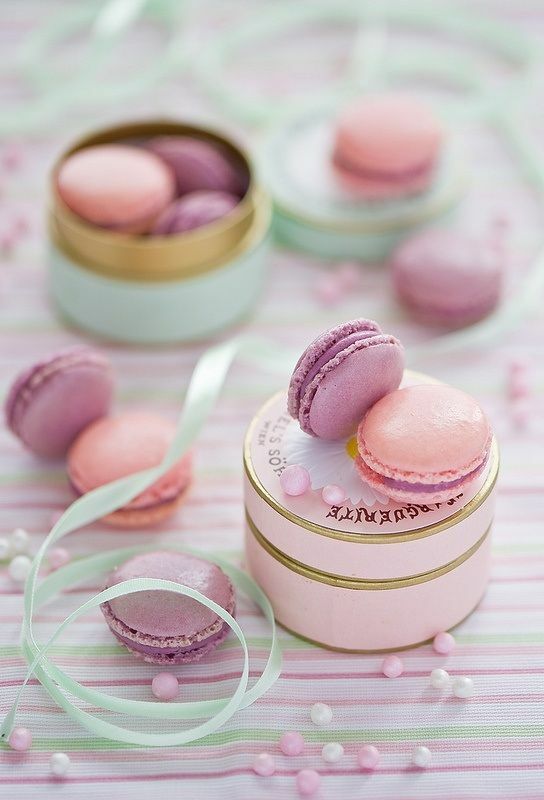 For an additional surprise, add the party favors in front of each guest, be it the case of sweet treats like Paris sugar cookies or little macaroon boxes.